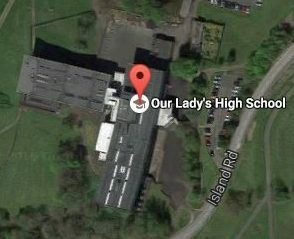 Our Lady’s High School is a six year, Roman Catholic school offering comprehensive education to young people between the ages of 12 and 18. 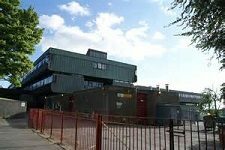 The school is situated in the Seafar district of the town of Cumbernauld, just outside Glasgow. We have a wide catchment area, catering for pupils living around the town of Cumbernauld, and the communities of Muirhead, Cardowan and Stepps. We also attract a number of placing requests each year. There are around 70 teaching and 20 support staff in our school. The Senior Leadership Team consists of The Head Teacher and 4 Depute Head Teachers. We have a range of Faculty Heads and Principal Teachers across the school leading curricular areas, and five Pupil Support PTs. We are also well supported by a strong Support for Learning Department. Embedding GIRFEC principles into our work is an ongoing priority for our school to ensure all our learners are appropriately challenged and supported throughout their time here and when they move on from school to the world of work. Our staff are highly committed and seek to deliver the best for our learners. We rely on our teachers’ experience and commitment to ensure the effective provision of a balanced curriculum within a positive learning environment which ensures success for all learners. Our attainment record is very positive. In Our Lady’s High School, all learners are encouraged consistently to aim for the best they can achieve, both in an academic setting and in wider achievement. The school also boasts a wide range of extra-curricular and wider achievement opportunities that are led by our staff. Our work is underpinned by Gospel values, and all staff play an appropriate part in supporting the school’s faith mission of bringing alive the Gospel of Jesus Christ in the lives of our young people. We gather as a Catholic Community of Faith to pray daily in class or year groups. Holy Mass is celebrated twice per week by our Chaplain, Fr MacKay. Our school has generous accommodation for 1200 pupils. It contains general classrooms as well as specialist accommodation in Art, Business Education, Drama, Science, Home Economics, Music, Technical Education and Physical Education. Extensive playing fields lie to the rear of the school, and there is also an assembly hall, library and Oratory. We have developed close links with a range of partners in the community, industry and further education. We enjoy a strong partnership with our Parent Council and our parent body as a whole. We also work very closely with our associated Primary Schools, the local parishes and various community groups. A key part of our work is developing the young workforce, and our positive partnerships with local employers are key to this.